What does vacation mean? Or perhaps where do you go when you want to gather with some friends? Maybe you have had a day that has just gone awry and you want something sweet. If I lived in Gallup or if you are driving through Gallup, New Mexico, on Route 66, I have found the Sweet Spot baby! All things considered, I am on the road a lot and I will fess up to eating my share of sweets. I may never eat the whole cookie, just a nibble or a whole piece of cake, but I try it all! I will put this find of best pastries in Gallup on Route 66 against Carlos Bakery in Vegas! Yep, it’s that good, and it does not come with those crazy price tags either! So, read on, and get ready to feel the need to lick your screen because the pastries are craveable, the cookies are ‘crunchy’ and the food is lovely. Lavishly live food out loud because here’s where to find the best pastries in Gallup on Route 66. I believe the destination is as iconic as Route 66 itself. P.S.- vacation calories don’t count! I walked into this cafe and wondered exactly what it had in store for me and the kids. The donut shelves were practically wiped out and it was only 12:30. What I learned is that between 7A & 10A the line can wrap outside the building and I now know why. Let’s just say, if you are a foodie, a pastry-lovin’ mug and if you love sandwiches stop here. 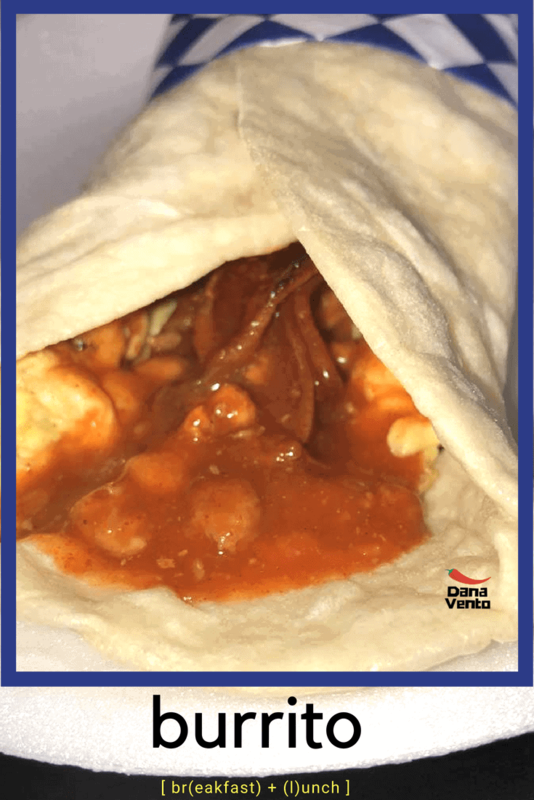 For those that love fresh tortillas, get them here and take them home as gifts (that’s what they do in Gallup Y’all, they bring each other tortillas!). 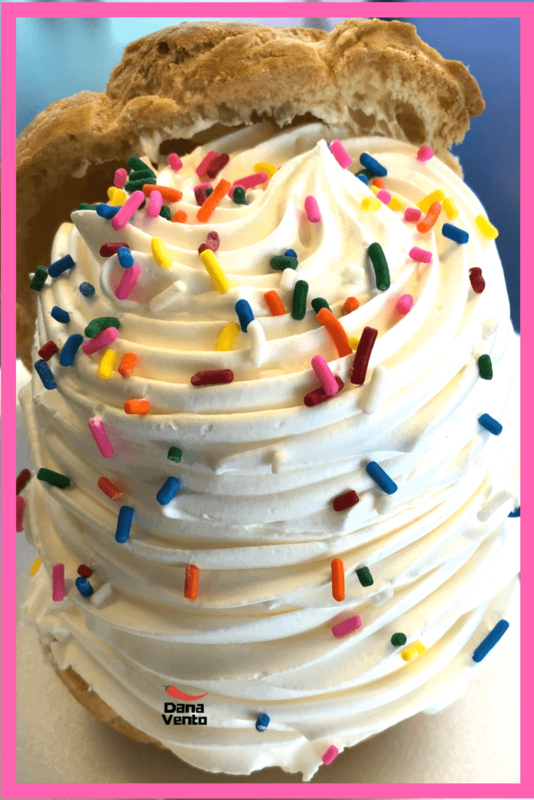 Embrace every second in this quaint pastry shop and I challenge you to get a few different sweets because you will want to try them all! The cookies seriously are stacked and the donuts are ah-mazing. If you find a place that the locals stack on into, go. When you see lines, don’t run from them, join them. What you will learn is the secret spots in every destination. Here, in Gallup, New Mexico, along historic Route 66 it’s Glenn’s Bakery. 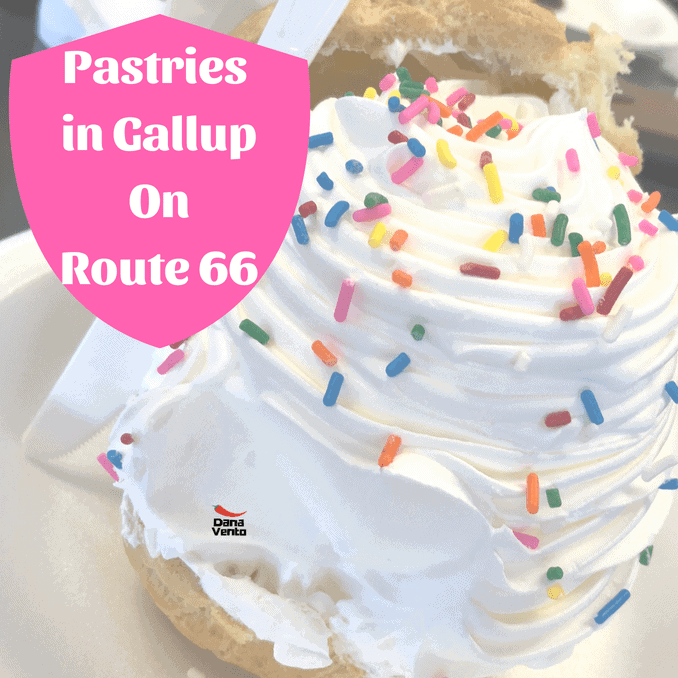 Gallup has a few great options for coffee and pastries and this one happens to be right on Route 66. For those driving by, STOP! 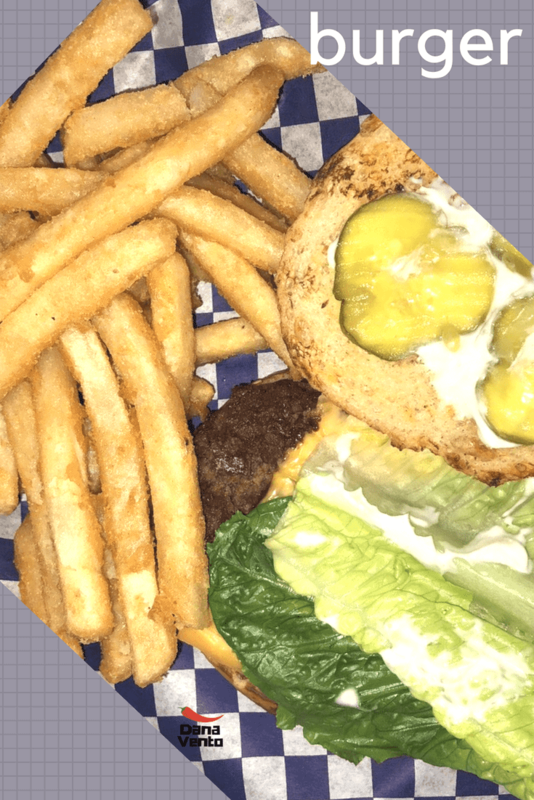 However, if you are staying in the area for a few days, make sure to stop here for a lunch/brunch combo, like we did. Get a pastry and a sandwich to experience the best of both worlds. 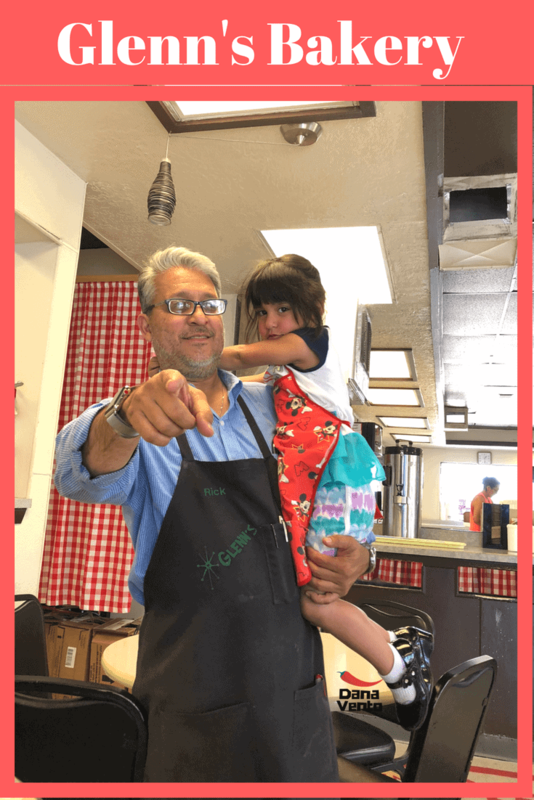 In the picture is Rick Chavez (owner) with his daughter, she is at the store helping, it’s so darn cute. (image taken and approved by Rick). I needed fueled up and not just with a pastry. I was touring with the Director of Tourism for Gallup and she said, “try a sandwich!” I am so glad I listened. A tuna sandwich on their homemade bread it was ‘tuna-tastic’ sorry, had to! Seriously that last place I expected to be impressed with a sandwich or tuna for that matter and it was total yum! I love surprises and this was definitely King of The Sea for me! Hard cookies are a ‘thing’ says Rick. He has tried making them soft but no one wants them soft and I loved what I ate! That was some version of a Coconut Macaroon. That is cherry and coconut and just really crunchy and good. Yes, I ate the whole thing and it was the entire size of my hand. We have been on no trip that has not included a donut. What crappy English but you get it. Donuts are our thing and the kids love them everywhere we go. Now, that said, donut stops are all over, we seek out the good ones. There are a lot of us out there that love on a good donut. The Glenn’s Bakery donuts are exceptional and were almost sold out! What we did not buy, the people behind us in line did. All things considered I am happy we got to sample a few because of how busy they are and how much they sell! Given these points, get there early! Further, if you look opposite the serving counter is a refrigerator and it is when I first caught sight of this air-whipped, shareable, confection of generous proportions. I mean is the size of this pastry insane? It’s delicate, and fluffy and creamy and sweet, all while being a cream puff. Additionally, to give you an idea of exactly how big this gem of a pastry is, I placed a plastic knife and fork next to it, just to give you an idea. A very generous dreamy, creamy dessert that always delights. Needless to say, it is perfect for all ages and who cares about the blood sugar barometer when this is in front of you! Right? This is amazing! As a foodie I’m always looking for The best places where I can get some really nice pastries, drinks and food! Thanks for this amazing review. That burrito is everything.